I am always recommending to my readers that they consume large quantities of green tea. It is the only beverage that is recommended by top health experts that can substitute a glass of water for your daily water count. What are the benefits of green tea? The benefits of drinking green tea are going to be explained fully in this article, and when you are done reading this, I do hope you have an understanding of why you must incorporate the consumption of green tea into your daily routine if you are to have the unbelievable health benefits of this miracle leaf! 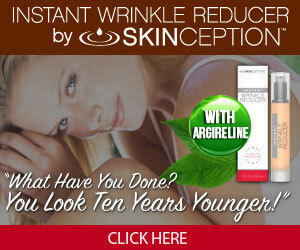 It truly is a top ingredient in the fountain of youth recipe outlined in this website. Doctors around the globe agree that green tea is the only beverage they say you can substitute for water in your daily quota. In other words, you cannot say you drank a glass of water if you have a glass of water with lemon and sugar added, or a glass of water with instant coffee added. It is only a glass of water if it is a pure glass of water. That is, except for green tea. Regular tea or any of the myriad of teas out there do not qualify for that “glass of water.” Green tea does. This is wonderful news to those who strive to consume their 13 glasses of water daily. Use 3-5 glasses of green tea in place of water if you like! Antioxidants will keep you from so many problems with your health, they are soldiers for good, and you need to treasure them! The fact that this one beverage, green tea, is loaded with antioxidants should make you strive to enjoy several cups of it a day! Antioxidants inhibit oxidation in your body, and that cuts out those free radicals caused by oxidation. Free radicals literally wreak havoc on your body, and they are responsible for the aging that takes place. Getting rid of those free radicals will substantially slow and even reverse that aging process! Are you seeing why antioxidants are key to the healthy you? Cancer is caused by free radicals attacking your healthy cells and mutating them. As described in Benefit 2 above, the addition of green tea to your diet, loaded with those oxidation-prohibiting antioxidants, are your first, and most important, defense against all types of cancer. Diet is one of the most important factors when it comes to the fight against cancer. What you put into your mouth is either medicine or poison, nothing in between. Choose wisely those poisons (like french fries and cupcakes) and focus on huge consumption of the medicines (like a fresh strawberry or a garden salad). Add a refreshing iced green tea to your favorite healthy meals! Now we’re talking! If the antioxidants weren’t enough to convince you, perhaps the huge benefits to those trying to lose weight. Green tea will help you lose those unwanted pounds. The green tea boosts your metabolism, or in other words increases the strength of fat-burning hormones in your body. It’s a bit complicated, but the bottom line is this: That boost in your metabolism is going to aid you in weight loss! Green tea also inhibits the amount of fat our body takes from the food we eat. That’s great news! I’m not suggesting you eat a lot of foods high in saturated fat, but if you do, and you are drinking several glasses of green tea, this can stop your body from absorbing more of that bad fat. There are many ways to drink and consume green tea. However, if you would rather take a supplement, I cannot say enough about this Purity Products supplement. It is the only green tea supplement I recommend for the full benefits of green tea! As you can see, the benefits of adding green tea to your daily diet are amazing. The problem is, not everyone likes green tea. I was not a fan when I first started drinking it, but I have to say that today I absolutely love it hot or iced, and I drink 3-5 glasses every day. There are some ways you can spruce it up! If a little honey or stevia don’t do the trick, try using it as the base in a smoothie. When you add the fruit and greens, you won’t taste the green tea. Experiment! I am currently working on a Smoothie Recipe article which will highlight the freshest ingredients geared toward weight loss and anti-aging. Make sure to subscribe to this website to receive notification when it is published! I hope you will feel comfortable enough to leave a comment or question below. I try to answer all comments within 24 hours. Please note that by clicking on product linksw and buying products through my links, you are helping to support my website and all the research that goes into it. Thank you for your continue support! I appreciate it! Great Read Baps ! I am not a fan per say of the taste of green tea but a dash of honey makes it more bearable lol One thing is for sure it can definitely keep you up at night. I drank some the other night at about 10:00pm and trust me i couldn’t sleep till about 4! I am not doing that one again lol it kept me up too long, maybe i should of drank it in the morning! lol Thanks for the info good stuff! Hi Babs…please tell me you have a suggestion for someone that doesn’t care for green tea. I do drink water all day, hot here in Florida. But water doesn’t have the health benefits you get with green, and I want to get them. Any ideas??? Yes, you can mix it with juice, make a smoothie with it, or flavor it with flavor enhancers over ice. Many options. I liked your post about green tea. I have been debating whether I want to start a habit of drinking a cup every morning or not to start my day out. Thank you for reminding me of all the health benefits it offers. I think I will start drinking it daily. It might even help me wake up in the morning. I have been hearing so much about green tea lately. I have to admit that I used to drink a LOT of the “bottled” green tea, and that was delicious. But due to the high amount of sugar in it, I have stopped drinking it. I see that you mentioned putting it in a smoothie, which you would of course brew the tea and cool it first. Interesting. Thanks! I know a lot of people who are big fans of Green Tea but I can’t say I’ve ever really researched why, so thanks for clearing this topic up for me! But surely you couldn’t COMPLETELY substitute water for Green Tea? I get that it counts the same, but it’s obviously not exactly the same, right? It counts as water by the experts. I love plain fresh clean water, myself, but some people just can’t drink it. I’m a big fan of green tea and I drink it on a regular basis as I find it refreshing . My sister started green tea a few months ago and changed nothing on her diet and she lost weight so I fully support the fact it helps you lose weight. Green tea is full of anti oxidants as you say but it’s interesting to read it can help prevent cancer by reducing free radicals in your body. I’m still trying to get my head round what you mention about green tea counting as water, it’s great to find this out and I found the explanation amusing! I’m off to have a green tea now! Thank you for the article! It was most useful. Hey Babs, thanks for the info. I have been drinking Green Tea for years and I love it. I think it tastes great. I only drink organic teas, and I make mine the old fashioned way, with a tea kettle. I see people microwaving water to make tea, but I don’t consume anything has been microwaved, even water. Another thing I read, and correct me if I’m wrong, that decaf green tea isn’t as good as caffienated. Something about the decaf process robs all of the benefits from the leaf. My favorite brand is Yogi Green tea superoxidant. It has a really nice lemony taste, and it is organic. I don’t drink caffeine and haven’t for more than 10 years now. I really believe caffeine is the most abused drug in the world. But, to my understanding green tea doesn’t contain any caffeine right? However, there are so many brands that sell green tea. What brands do you recommend? Are their some that are better than others. Meaning, they are organic or better quality. You have to buy the decaf version to eliminate caffeine. I’m so glad I drank my green tea today, now even more glad when I read this article. You really explained in details all the benefits, I didn’t know that it counts as water, that is interesting. When I drink tea, I don’t feel thirst for hours. Now I understand why is that. I knew that it is great for detox and for relaxation, but I learned today that it has even more value. Thanks for this post. Your post made me realise that i am so faulty. I started outbas a green tea lover butnalong the way i have dropped. I can envision it sitting alone on my cupboard. I see it everday but never get to pick it up. This post is really insightful, i mean, i didn’t know about the cancer stuff. Now i know and repent. I absolutely love green tea now. I was convinced to try it a few years ago and hated it. Just like you I had to try it a few more times and stick to it. I have it hot in the morning and then have it 2-3 times throughout the day. I just feel better with drinking it than without. The hydration aspects are fabulous. I had no idea it helps prevent cancer. Good to know. I also didn’t know use it as a base for smoothies. I have smoothies regularly so I think I will give this a shot. Green tea is a doctor. The benefit it bring as water substitute is great and recommend by doctors…People sometimes they don’t drink that 8 glasses per day but green tea got it all. The great part is that I can get better result to my work of weight loss and Cancer free. It’s not a green tea by name but a green tea. I have never heard of green tea counting as a glass of water. I have a tough time drinking water, but LOVE green tea. I will definitely be drinking it much more! It’s so good, especially with a bit of organic honey. I like it iced and hot. What I never knew also was that it was filled with antioxidants. I knew it was good for you, but didn’t know exactly what set it apart from other teas. Good info to know. Thank you for the post on green tea… It was very informative. I had no idea about all of the benefits. Once you get to my age these things become a little more important… I think I just may try green tea tomorrow morning instead of my coffee. I have never been overly concerned with how I am aging but I think it may be time to give it some thought. I enjoyed reading your post. I knew Green tea was supposed to be good for your but I did’t know in which ways. I am a tea drinker but mostly Tetley decaf, which I think? is a black tea? and occasionally some Chai or green tea and even some roasted dandilion from time to time. Now that I know the benifits of drinking more of the Green stuff I think I will have to make it my main tea drink. You have convinced me to try green tea again. I never knew it actually served as a replacement for water. If I can’t develop a taste for it, how many green tea supplement capsules or tablets would I have to take in a day to benefit from the antioxidant benefits? I’m sure it’s a very small investment for the opportunity of better health. I have Lupus and Sjogrens Syndrome. I believe this may be helpful to me. I love green tea, but have officially cut out all caffeine in my diet. Does caffeine free green tea have the same benefits? Great read, and very motivating for people to incorporate green tea into their lives. Absolutely. Choose the decaf version! Still rich in antioxidants! One of my New Years resolutions is to drink more green tea so I love the idea of using it as a base in a smoothie. I want to use it for weight loss but when I think about how much I will have to drink to benefit I sometimes get overwhelmed (as I love normal tea the best.) Thanks for the info in this article, I will bear it in mind as I start to venture into a more green tea lifestyle! Well, Babs, I’m getting ready to put on the kettle and have a cup of green tea! I knew that it was good for me, but I wasn’t fully aware of all of the potential health benefits. Thank you for taking the time to put this together and inform your readers. I just found your site today as I am definitely looking to stay healthy. I’m 42 now and this is the time of my life to definitely try to maintain my youth, both inner and outer! Hi there, I enjoyed your article, I am myself a person who promote healthy habits, we are living in a world with so many bad food choices, that’s one of the reason why there are so many overweight people in America. I appreciate your post, it is clear and well presented. I am looking forward to start drinking more green tea for now on. Please continue posting healthy tips, thank you. I love green tea and drink it most afternoons while at work. Drinking green tea with a little bit of lemon helps me get all of my water in for the day. I love the taste and feel like I am doing something good for myself. I like knowing I am boosting my metabolism as well as fighting the aging process. Another great post! Thanks for sharing.